This gorgeous Antler Chandelier carries all character of real antlers. Made with faux reproduction antlers ( resin ) but with the perfection of a beautiful bright white finish, with 4 candelabra lights, Antler Light is the perfect fit for any space. 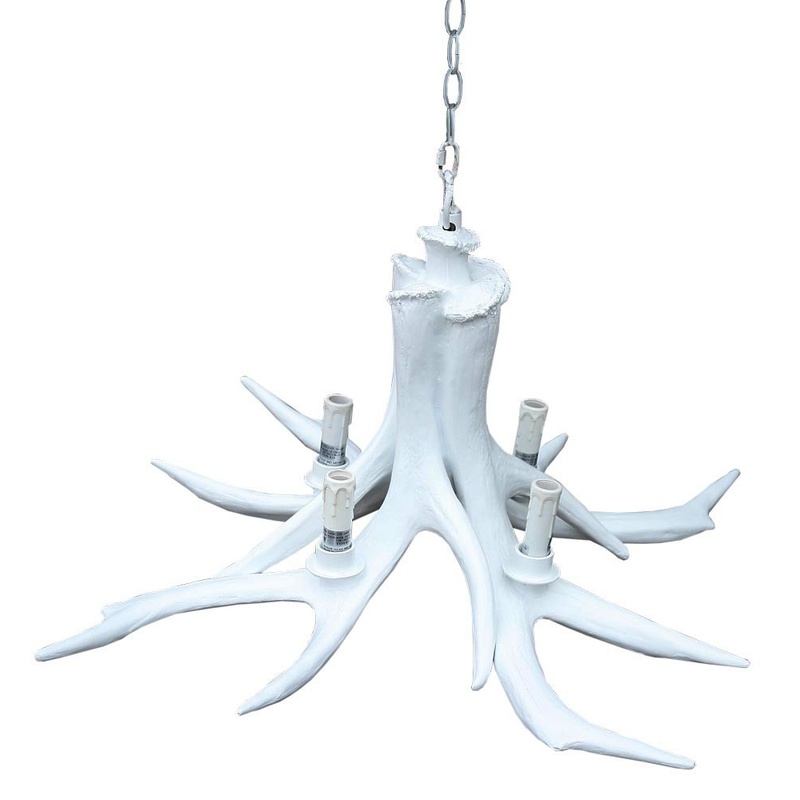 Get that trendy, stylish look with this lovely 4 Light White Antler Light. It would work as a contrasting addition in a contemporary setting with clean lines or in a soft, romantic French-design inspired room. The 4 Light White Antler Light comes with a long chain that is easily adjusted depending on your ceiling height.